I'm astounded that in 1976 you could transform a kitchen for $60 and lose a stone in eight days simply by following the Israeli Army Diet. 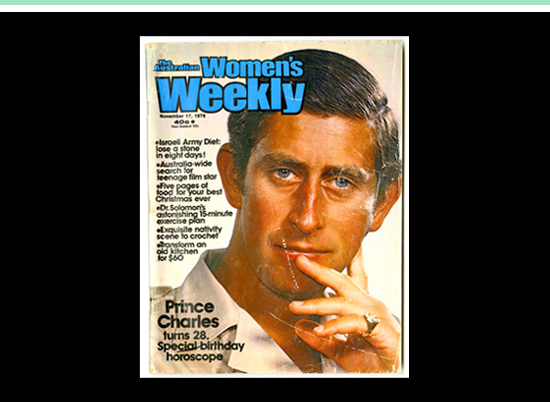 In the same year a handsome Prince Charles featured on the cover of The Australian Women's Weekly with this breathtaking photograph. It's one of my favourite covers despite the Weekly's ghastly masthead. Roaming. Halloween in Hong Kong. 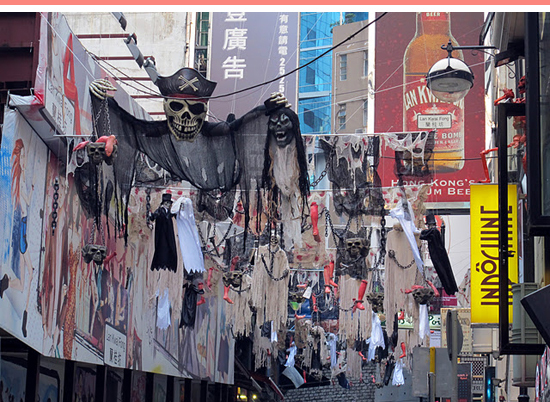 With bloodied limbs dangling overhead and creepy creatures hovering above dark lane ways in Hong Kong's Central district, there was little doubt that Halloween was approaching. Big Fun! Roaming. Street Art in Hong Kong. 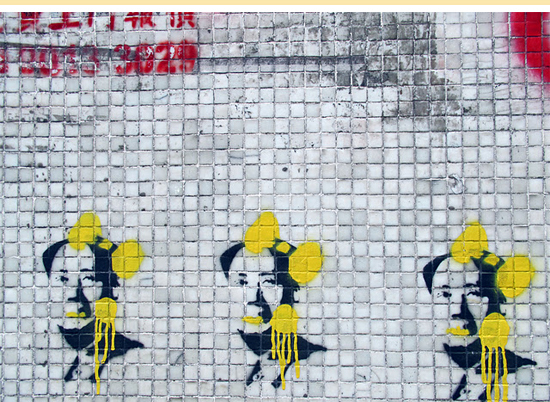 I stumbled upon several lane ways in Central Hong Kong that were filled with subversive street art. I'm quite liking Mao's makeover and his fetching yellow bow. Roaming. 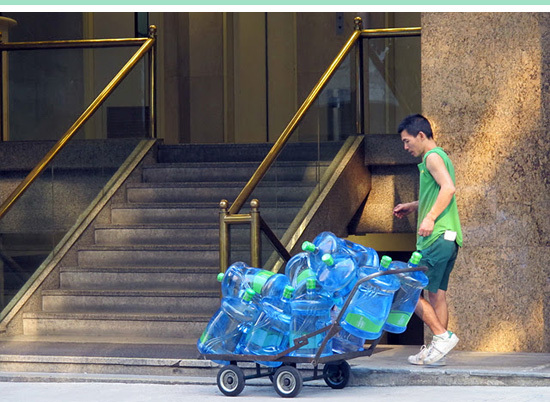 Water Boy on Hollywood Road. Early evening on Hollywood Road saw this man busy with his work. 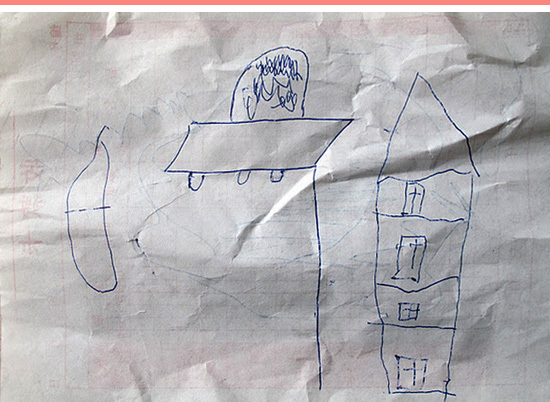 As he pushed the water bottles down the street on his trolley beautiful light shone through the towering buildings above. Coming down the steps of one of the most hectic shopping malls ever, I stumbled on a drawing as I attempted to jump over a group of lunching people congregated on the semi-spiral stairs. Roaming. Shark Suits in Causeway Bay. In the capital of hyper-consumerism – Hong Kong – shop window displays pop. 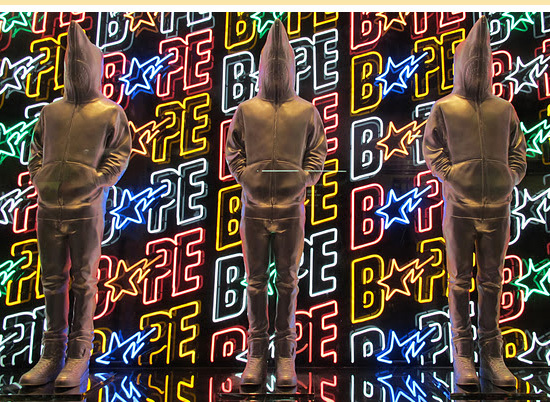 This BAPE was an assault on the eyes with chameleon neon flashes while the coolest shark suits ever stood motionless. You may not know it, but King St is Newcastle's grand entrance to the city. Problem is King St is a busy traffic thoroughfare and the city is empty. 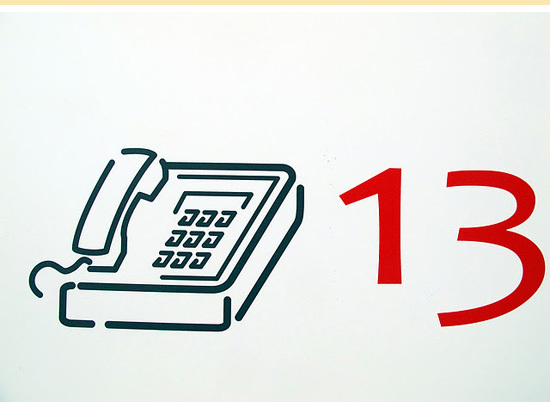 Nevertheless, 1980s charm abounds. Pie Report. A Podgy Affair. Often bandied about, the term patisserie is often used to describe an average pie shop overcharging for standard, not to say bad, baked goods. Snow's Patisserie is possibly just a notch up, but nevertheless the Moroccan Lamb pie sampled didn't set fireworks alight. Stout and chunky, this pie's pastry was saddled with the task of keeping a bland and brawny filling in place. 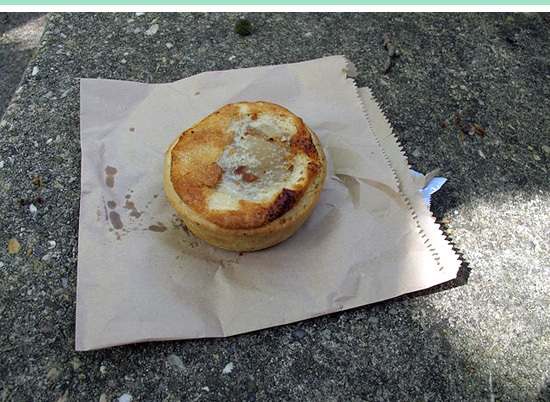 I may be judging it a little harshly against a posh pie at Buzo Wine Library in Woollahra, which was at least twice the price with all its elements working in harmony, but at best Snow's offering was just on average all things considered.